The debacle of the sold-out and impossible-to-find NES Classic Edition illuminates how popular retro gaming truly is. Of course, a Nintendo-branded retro gaming product is bound to fly off the shelves, but that doesn’t mean there isn’t a wide swath of other, popular systems people would love to spend an afternoon with. Enter the RetroEngine Sigma. The team at Doyodo understands the desire for a proper retro gaming experience and wants to expand the Nintendo Classic’s target demographic from the mainstream to everyone else. To do so, the petite, palm-sized console sports an HDMI connection along with the possibility of two or more USB controllers to play the 15 pre-installed games its comes with or titles from over two dozen gaming systems from the past 40 years. The RetroEngine Sigma does this with the use of ROMs which, depending on a user’s country, is more or less frowned upon unless an actual copy of the game is in their possession. While the legality of ROMs can be confusing, it lends the RetroEngine Sigma an unparalleled versatility in its quest for retro gaming glory. It can even be used with a mouse and keyboard for a light web browsing experience. 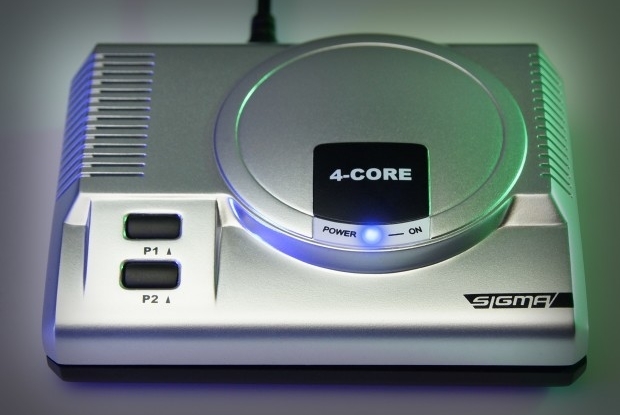 Each 16GB RetroEngine Sigma goes for $69 and is expected to ship in June 2017. Its Indiegogo campaign is looking for $20,000 by January 8th, 2017. The RetroEngine Sigma’s use of ROMs is its saving grace, giving it the type of reach something like the NES Classic Edition could never have. Add to that its cheap price and tiny form factor, and its definitely a winner. For something a lot more capable and a lot more modern, check out the Smach Z instead.